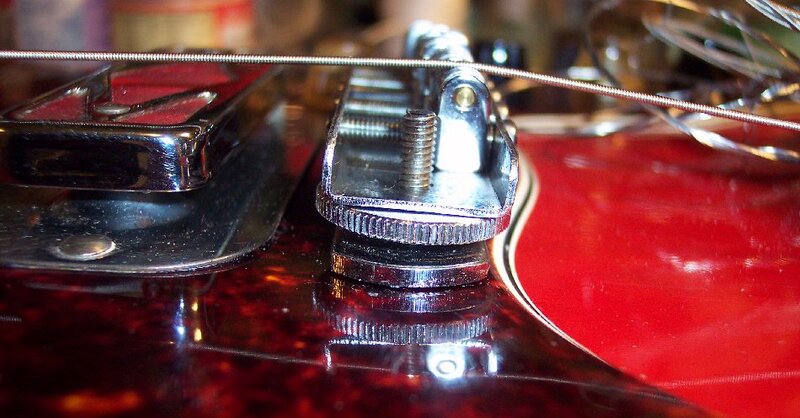 (3) The string height action on the fretboard. 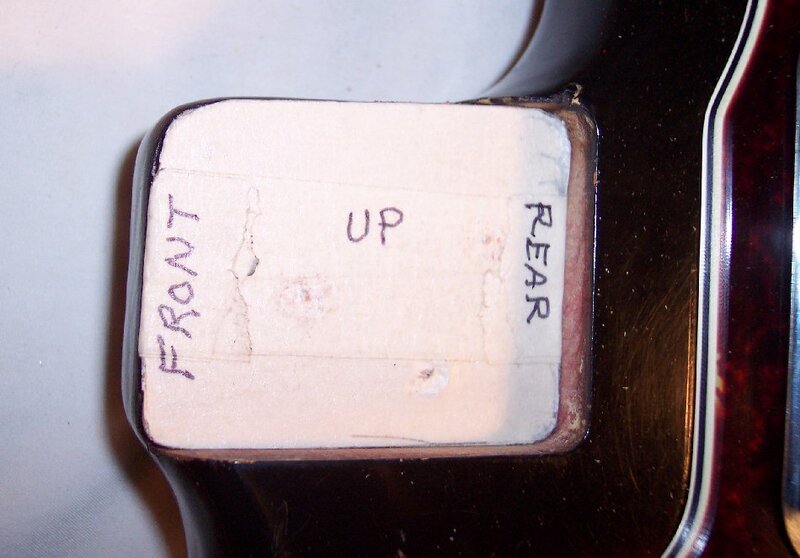 Tilting the rear end of the neck heel upward with the shim will bring the fretboard closer to the strings while thus also tilting the headstock downward which will lower the strings toward the fretboard. 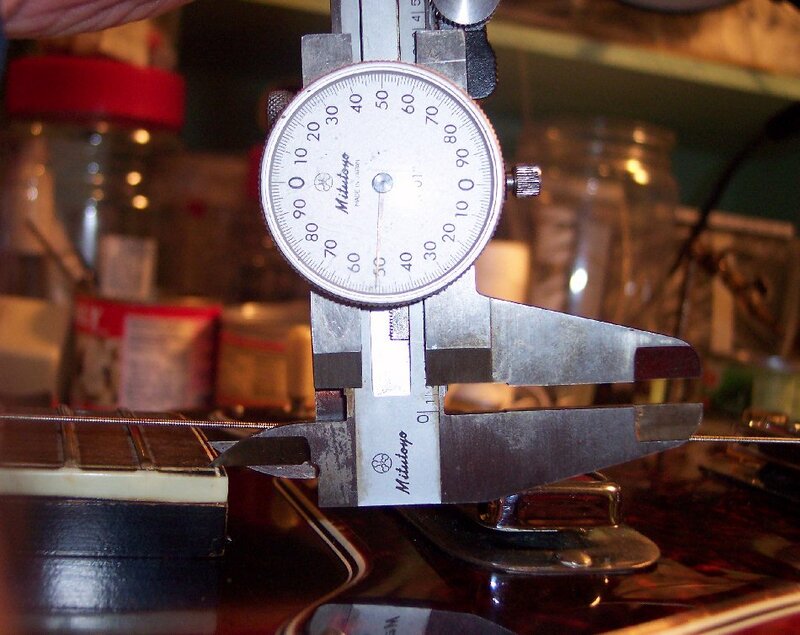 A good rule of thumb is that the shim's rearward / thickest end should be half the thickness of the distance needed to be reduced at the last fret. Four layers (for durability) of masking tape is pressed into the neck pocket, tightly into the corners gently using the end of a round toothpick as each layer of masking tape is applied. 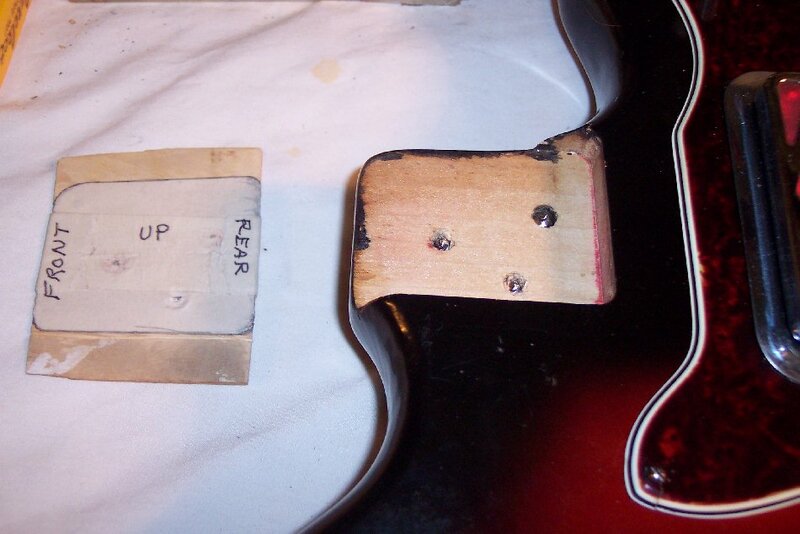 A lead pencil is then used to both again press the tape into the corners and mark where the tape should be cut for an exacting template of the neck pocket. This template will be applied to the shim wood as a pattern to cut and sand around. 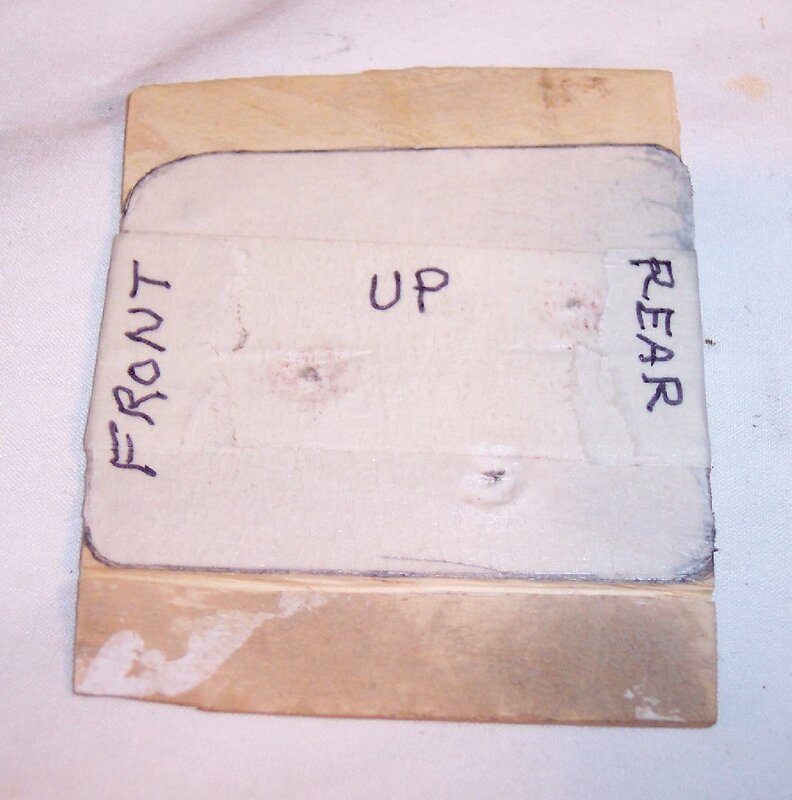 Write the shim's orientation into the pocket so there will be no mistakes in the fabrication & installing process.